The 13 best headphones of 2014 | What Hi-Fi? The headphones category is one of the most competitive at the What Hi-Fi? Awards, and 2014 has proved to be no different. There are 13 winners from five sub-categories in total, including two Product of the Year Awards. We’ll start off small, with the best in-ears up to £50. There’s no shortage of budget buds, but the Award goes to the Soundmagic E10S. That’s a fourth win for Soundmagic, who have tweaked the existing E10 earphones to improve the sound, and added an in-line remote in the process. 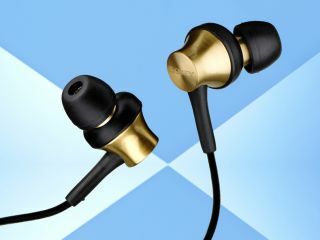 Next up are the best in-ears £50-£150. This year’s winner is really quite extraordinary. At a mere £60, these buds have bested many pricier opponents. That’s why they’re also our in-ear headphones Product of the Year. Put your hands together for the beautiful, brassy Sony MDR-EX650AP. At the premium end of the scale, we have the £150-£300, and £300+ levels. It’s another win for the Shure SE425s and Sennheiser IE 800 respectively. Of course, not everybody wants to plug things into their ears, so we've also covered a whole host of on-ear headphones. And these are the best. The best portable on-ears up to £100 are the AKG Y50s. With a fresh, portable design and exceptional sound quality for a friendly price tag of £80, you don’t need to be an audiophile to appreciate how good these headphones are. And that’s why we’ve named them our on-ear headphone Product of the Year. Other top portable on-ear award-winners include the Philips M1MKII (£100-200) and Beyerdynamic T51i (£200-£300). Both of these are updates on existing models, which have made the originals better and more practical. The problem with being out with most headphones is that they’re constantly fighting with external noise. Wouldn’t it be lovely to block it all out? Now you can with the excellent Bose QuietComfort 25s, the best noise-cancelling headphones on the market in 2014. Then there’s the issue with wires. If you don’t want the risk of throttling yourself or dragging your precious device onto the cold, hard ground, you want a pair of wireless headphones. Our favourites this year are the Philips Fidelio M2BTs. But what if you want to shut yourself in? Maybe you don’t need portability, or silence, or freedom from tangles. Maybe you want big, fat quality. And you don’t get much bigger and fatter than the AKG K550s, the best home on-ears up to £150. These were Award-winners at £200, but now at £99 they’re a big, fat bargain. Next up is the £150-£300 bracket, which goes to the Grado SR325 cans. Their open-back design leaks plenty of sound but helps deliver phenomenal sound. Finally, we get to the best home on-ears £300+. That honour goes to the wonderful Shure SRH1540s for their punchy but natural sound and super-comfortable ear pads. Had your fill of headphones? Head over to the Awards 2014 microsite to see all 99 winning products.